Breakfast is the topic of discussion on my Facebook page these days - lots of quick & healthy ideas. But Sunday's are meant for lazing around & a leisurely breakfast in the midst of family & friends. Breakfast at home has its own charms, but the not having to clean up anything (except your wallet) experience that you get when eating outside is beyond compare. Today I am going to review the breakfast I had recently at Pantry. Comprising of two floors, Pantry is a welcome relief from all those tiny cafes that are opening up in the city these days which are such a problem if you are dining with a large group, or if someone has kids. We ourselves were a group of 5 people with 2 kids. We decided to sit on the top floor which is more spacious and also had a little bit of space for kids to move around. The ground floor is smaller, but it has their drinks & desserts counter along with a display of fresh artisan bread & kitchen appliances for sale. 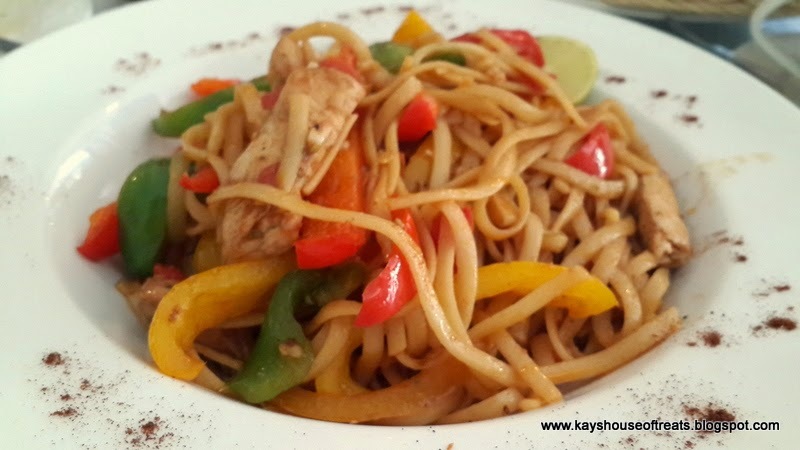 Pantry is one of the few places where the menu, tagline & ambiance are in sync with another. "Comfort food with global influence" is the slogan written on the menu and this is reflected beautifully in the cafe. The setting is of a casual cafe, with beautiful windows letting in loads of fresh light. The menu isn't huge, but it features an eclectic mix of favourite dishes from around the world. So there's Tuscan scrambled eggs from Italy, Eggs Benedict from France, Lettuce Wraps from China, Beef Pho from Vietnam and so on and so forth. 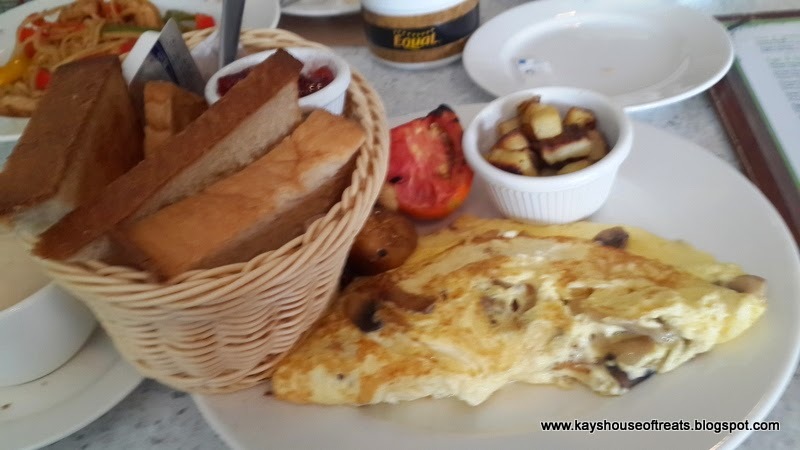 What further interested us was the ingredients mentioned - instead of a typical cheese & mushroom omelette, theirs is known as Country Omelette with caramelized onions & emmental cheese. Instead of basic pancakes or french toast, they have cinnamon buttermilk pancakes & french toast with salted caramel. Since a few of us reached earlier, we decided to order coffee while waiting for the rest. My last coffee experience at Pantry was a bit sad since my friend and I had ordered the wrong coffee, which didn't give us the jolt needed to wake up in the morning. This time asked the waiter for his recommendations, and ended up ordering large/tall cafe lattes which were exactly what we needed! It's a major pet peeve to go to a cafe with a huge variety of coffee on the menu & a clueless waiter - glad to say this was not the case with Pantry. We were a bit disappointed when placing the order since they didn't have pancakes or sweet potato fries or the chocolate tart on the menu. One of us had already had breakfast & had planned on ordering just the tart but was disappointed. The tart did become available later, but she had changed her mind by then. 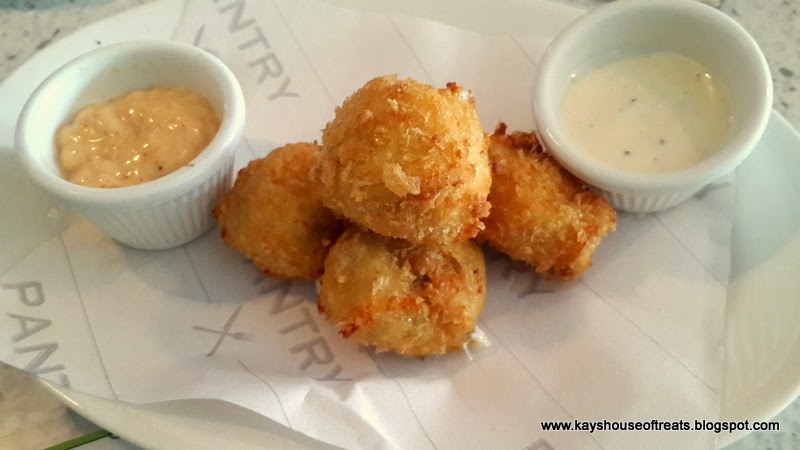 First to arrive in about 10 minutes were the Cheese Poppers - Golden nuggets of cheesy goodness served with a chipotle & jalapeno aioli. These were so good, both in looks & taste, but the 4 piece serving size was quite small compared to the price. The rest of the order came after 10 minutes - my friends ordered the omelettes and I had ordered the Cajun Jambalaya since I wasn't in an eggy mood. 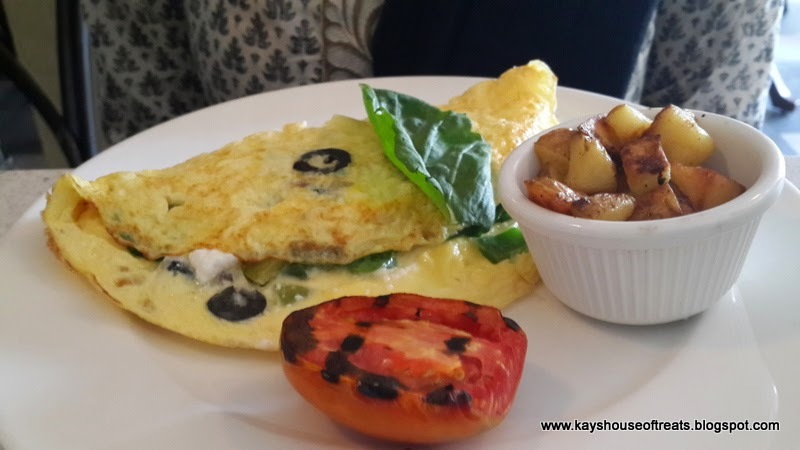 The Country Omelette & Greek Omelette were both served with roasted potatoes & grilled tomatoes along with a basket of freshly made bread with butter & jam. The omelettes were light & fluffy, with cheese being the star ingredient in both. The Country omelette had a more savoury meaty taste with caramelized onions, mushrooms & melted emmental cheese. On the other hand, the Greek omelette was lighter as it had onions, tomatoes & capiscum with feta cheese & fresh rocket leaves. The Masala Omelette was Pantry's take on the Desi Pakistani Omelette and instead of bread, it was served with Palak Paneer & Paratha's. It was instantly & happily devoured by my friends two kids so I am going to assume it was good. The Cajun Jambalaya was a visual delight when it come with the liberal use of colored capiscums (green, yellow & red) with a sprinkling of paprika at the edges of the plate. The linguini was cooked perfectly, and the cajun spices complimented the sweet peppers brilliant. However, I felt it missed something, maybe shrimp would have been a better option or some side option to provide just a bit of crunch. In the end, we decided to order the chocolate tart since it was now available. It was a fitting end to a delicious meal. I have always preferred savoury over sweet and there are few desserts that make me change my mind. 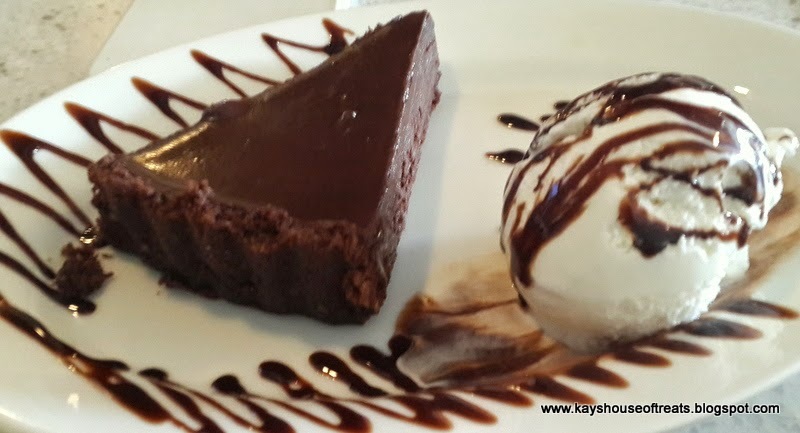 This was one of them - a rich dark chocolate tart with a walnut crust served with cold vanilla ice-cream! So indulgent and absolutely delicious. The only negative would be that the ice-cream felt store-bought and I think fresh would complement the tart better. The service at Pantry was as good as the food we had with attentive & trained waiters. It was annoying that a few items weren't available but the waiters were well-versed about the menu and informed us on time. I do wish that there was more space downstairs, as that is non-smoking. It's never a good idea to sit in a small place with kids which is why we opted to go upstairs, but that was obviously smoking. 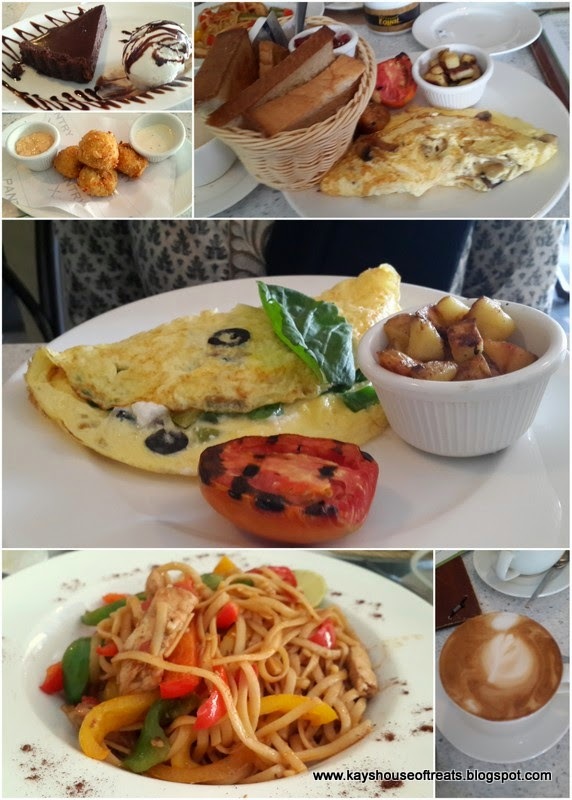 Overall, Pantry is a cafe that is a must visit, especially if you are in the mood to try different cuisines. I am planning on buying their fresh bread, and using it to make sandwiches for my home-made cheese. The prices vary depending on the dish & ingredients. If the dish is using local ingredients, then the per head costs are similar or slightly higher to other cafes. However, if deciding to order a dish that incorporates expensive ingredients like fresh buffalo mozzarella or smoked salmon then the per head cost goes up.